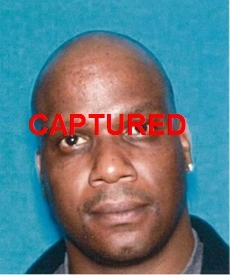 SAN JOSE, CA – Karim Wills, 40, was arrested in Hayward, CA at an apartment complex by US Marshals and partnering law enforcement agencies. Mr. Wills is wanted by the Salinas Police Department for armed robbery of a convenience store that occurred in 2006. WILLS is a featured fugitive on the Northern California’s Most Wanted website. On February 6, 2014, members of the U.S. Marshal led Pacific Southwest Regional Fugitive Task Force (PSWRFTF), alongside Salinas Police Department, surrounded an apartment complex in the 25200 block of Carlos Bee Blvd. Hayward, CA. While conducting surveillance within the apartment complex, investigators noticed Mr. Wills walking through the complex towards a vehicle. Task Force members moved in, surrounded Mr. Wills, and arrested him without incident. Mr. Wills was transported to the Alameda County Jail where he will await extradition back to Monterey County.